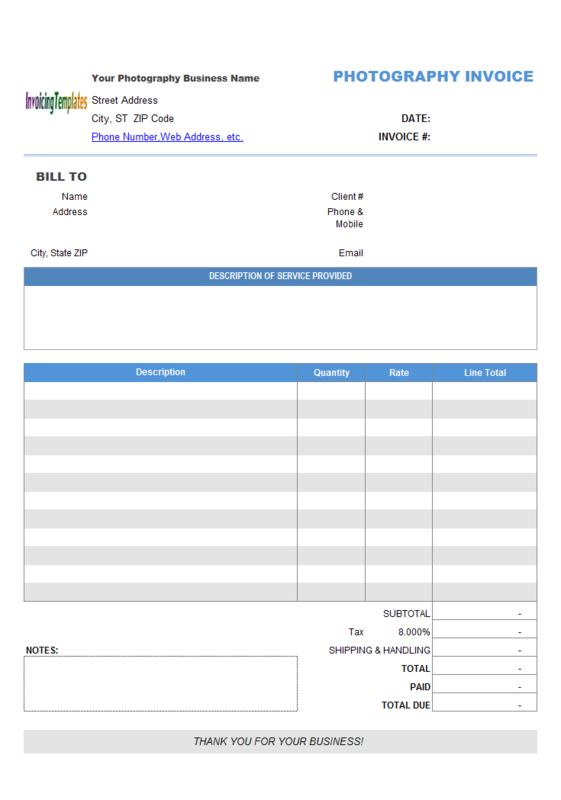 Cleaning Service Invoice Template is a service invoice template helps individuals and businesses create professional and beautiful service invoice for the car, carpet, house or building cleaning service performed. 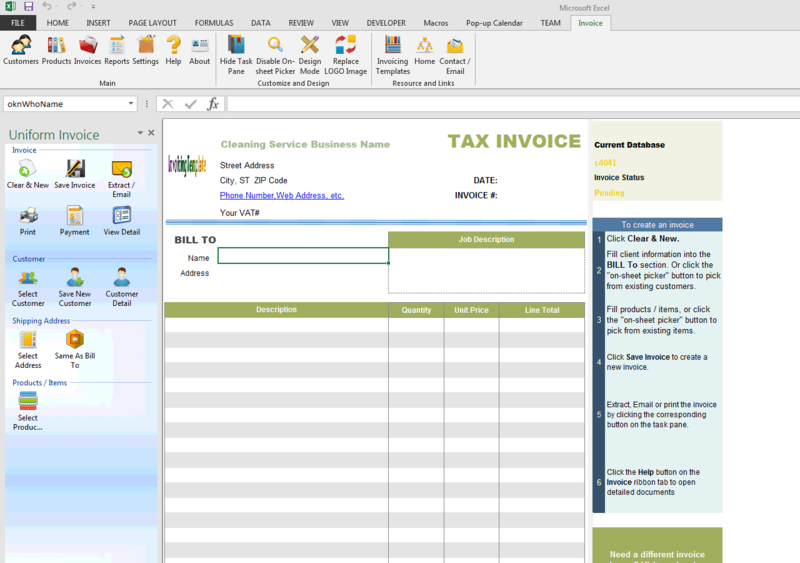 c4041 now includes the customized invoice template for the latest version of Invoice Manager for Excel. This is what you will see when you open cleaningbill.xlsx. 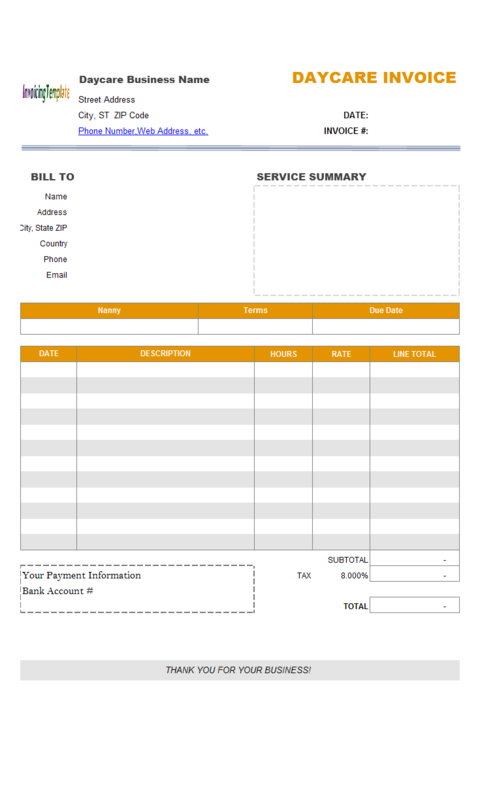 Although this template is named Cleaning Service Invoice Template or Cleaning Service Bill Format, it could be easily adopted by many service businesses, like legal, medical or accounting, freelance work, consulting, handyman work, house cleaning and babysitting, landscaping and gardening, auto repairs, catering, child care, pet care, tutoring, and other services. 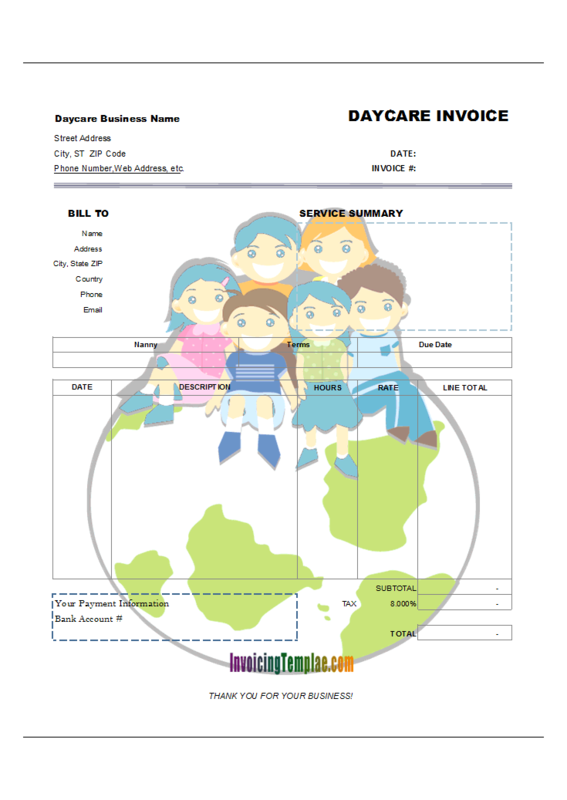 Service invoice templates are used to provide service invoices by freelancers, contractors, cleaners, consultants, caterers, house cleaners, and service providing companies. If you have just started your business, for the purpose of invoicing, there is better choice than expensive and complicated service invoicing software, that is to use an invoicing template. 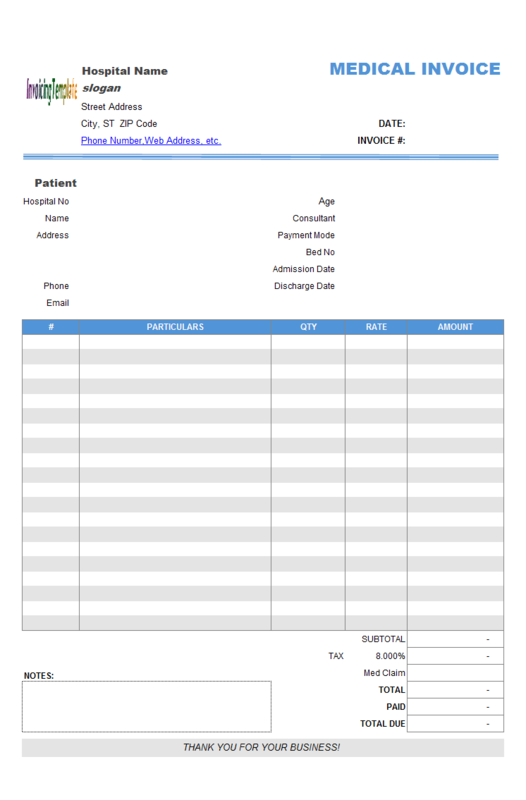 An invoicing template offers an easy and intuitive way for invoicing, like fill in a blank paper form. So no hard learning curve will be involved. As your business grows you may need a more powerful way to do invoicing. Our invoicing software, which is named Invoice Manager for Excel (namely Uniform Invoice Software), is your great choice. 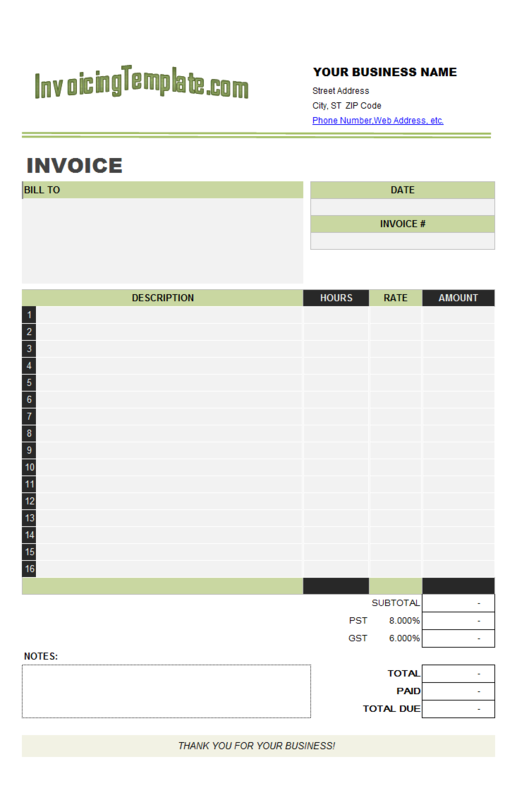 By installing Invoice Manager for Excel (namely Uniform Invoice Software), any template available here on InvoicingTemplate.com will become a complete invoicing system, with the ability of managing customers, products, invoices and payments. 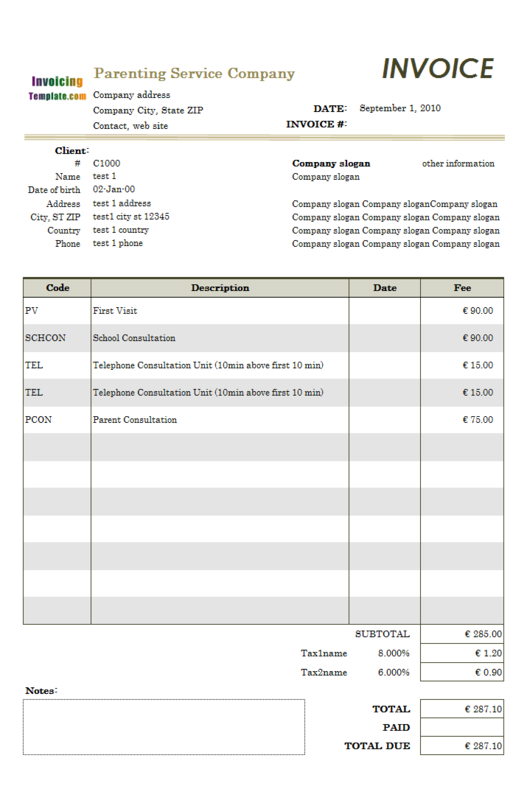 For example, all PDF invoices here on InvoicingTemplate.com are generated with Invoice Manager for Excel (namely Uniform Invoice Software)! 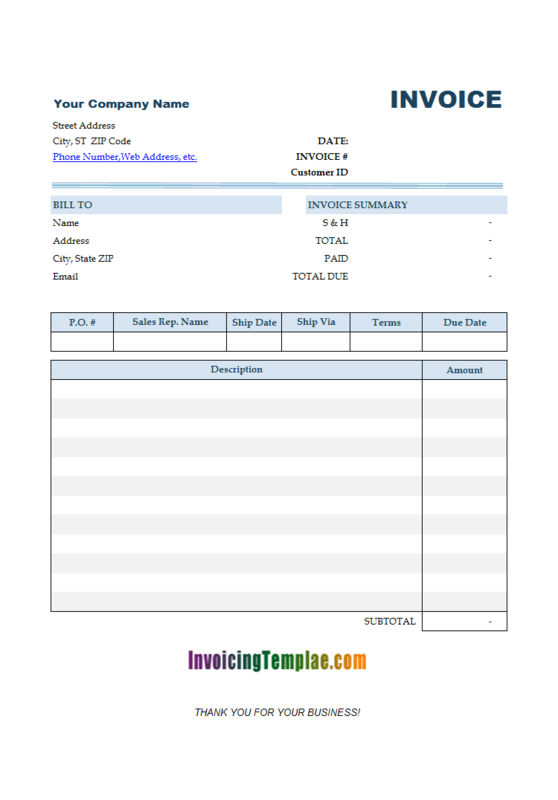 You can also send invoices in electronic format - such as Adobe PDF or even in Excel spreadsheet format. Invoices are important legal documents - you want your clients to know just what you have done for them, and how much they owe you for what you have done. 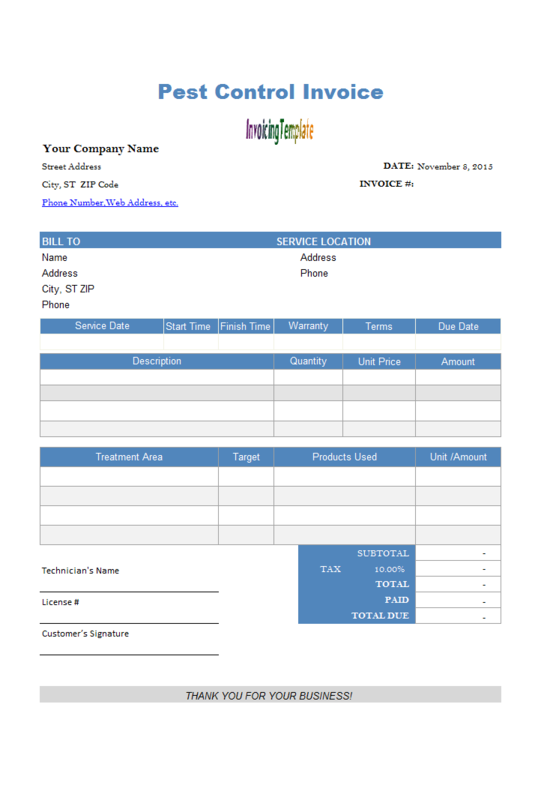 This cleaning service template includes space for the date and invoice number, as well as a description of the work that was done or supplies that were used. It uses Excel formulas for calculating line totals, sub total, discount, tax and total payable automatically, save your time and efforts on creating invoices. 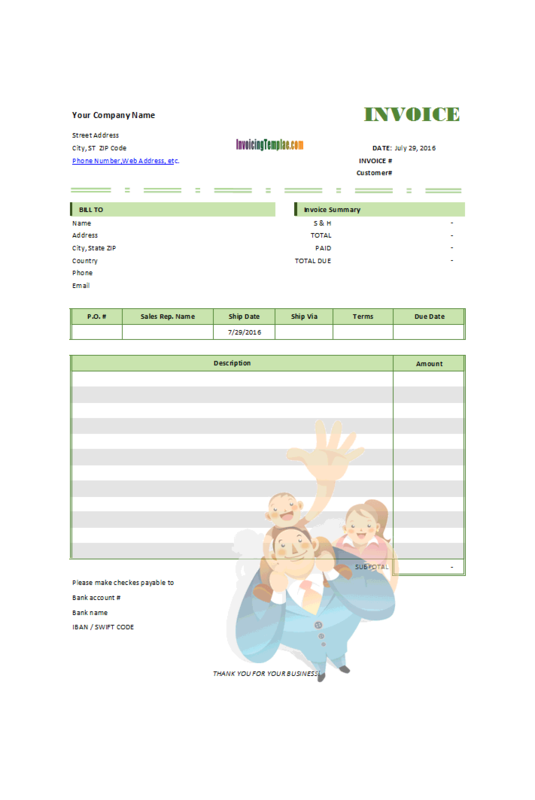 It is a pure Excel template without macros, and like all the other templates available here on InvoicingTemplate.com, we don't lock it, so that you can easily use it as a janitorial invoice template, carpet cleaning invoice template, cleaning invoice sample or office cleaning invoice template, with minimal or no customization. To get paid you will need to bill the customer somehow. This is normally done by creating an invoice and delivering it to them one way or another. 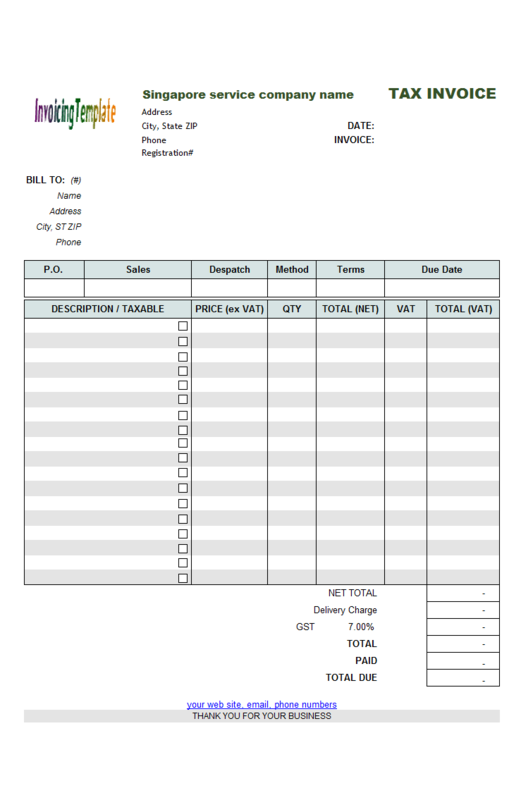 The invoice serves as a receipt for the service you provided. Depending upon what type of work you perform, you will either get paid right away or within an agreed upon time frame. 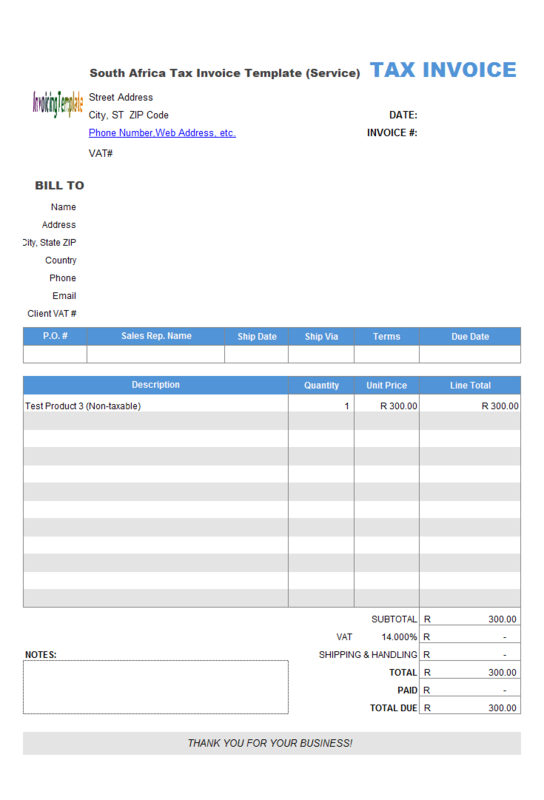 No matter how you get paid, it is always necessary to make your invoice documents look as professional as your service. 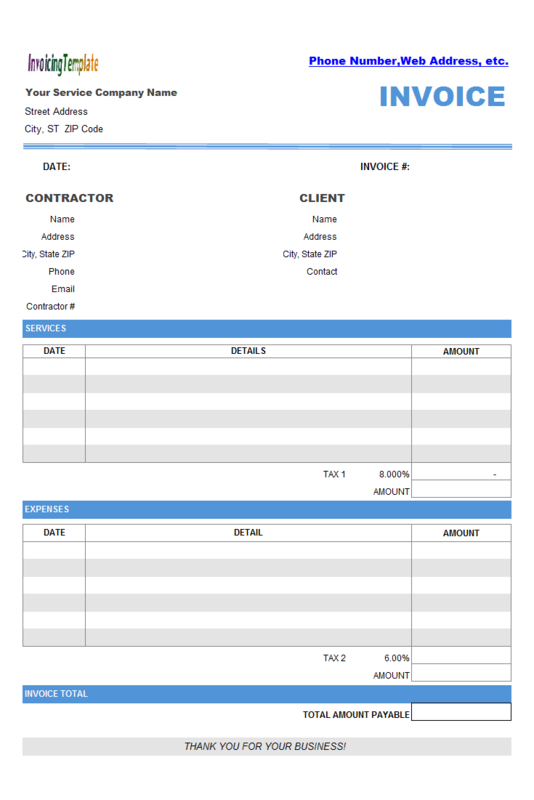 Use Cleaning Service Invoice Template (Cleaning Service Bill Format) as a starting point, or install Invoice Manager for Excel (namely Uniform Invoice Software) if you want to make invoicing easier. 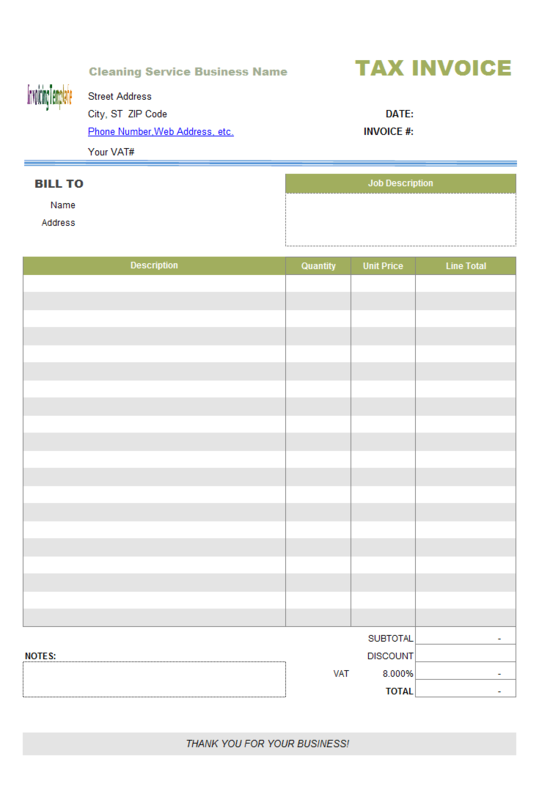 Like other form designs here on InvoicingTemplate.com, Cleaning Service Bill Format is free (offered to you at a price of 0.00USD). It works on Windows XP and all newer versions of Windows, and Excel 2007, 2010, 2013 or 2016.